Lets face it, it’s not easy to lock and load a heavy squat bar with a sweatshirt hood in your way. 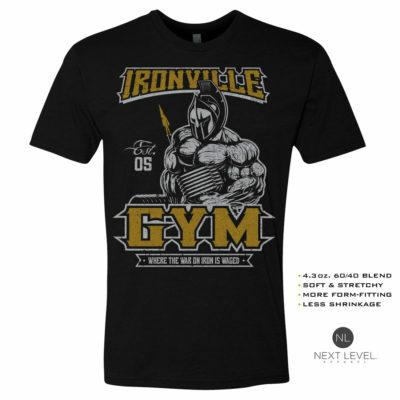 For this reason, we also offer a gym sweatshirt free of an obstructing hood. They’re prefect for the gym, or out and about during the cooler months. Colder climates require layer options, the same as in a gym environment. We’ve covered every any angle with our series of workout sweatshirts, as well as brought in some additional color options. 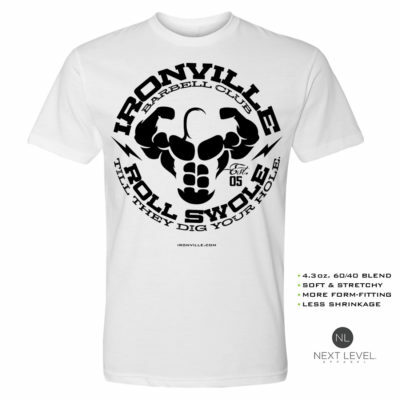 And when you order an Ironville Clothing product, we’ll generally hand print it and ship within a 24 hour period. Not too shabby.